Fluffy White Bread Machine Sandwich Bread - FiliVino! 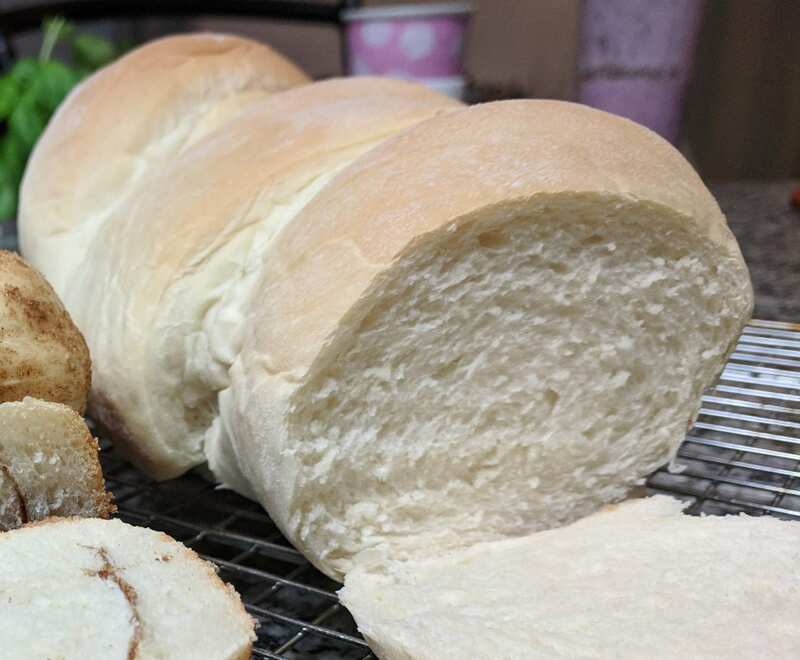 I’ve finally found a way to make Fluffy White Bread Machine Sandwich Bread, and spoiler alert – I only use my Zojirushi Bread Machine to mix and raise the dough. It does a good job of baking it and it does so in a normal, horizontal loaf, but not as good as a proper oven bake. So I’ve ended up with one of those fancy (affiliate link ahead!) Zojirushi bread machines. In the past I’ve had a couple of other models and never really cared for the bread that they turned out. This one, however is infinitely better but- I still prefer to do the baking right in the oven. There’s just no way any bread machine can match oven baked due to the the process is uses. But this one does come close. I found a version of this recipe at geniuskitchen and on its own is very good. However, I’ve tossed out the oil for melted butter, started with tangzhong, and went for the steam oven instead of the bread machine. If you want to just use the bread machine end-to-end you can do that too and won’t likely be disappointed. And once again, being inspired by the Great British Bake Off and discovering Kim-Joy’s use of the Tangzhong method I’ve started employing it in most of my breads. You can braid this bread, twist it, roll it, make onion bread, cinnamon raisin bread whatever you want, it’ll turn out great! In fact when making these loaves I made one with some leftover bits from the Fluffy Cinnamon Roll recipe. Great, easy homemade white bread for sandwiches, or whatever you might want. Can be adjusted for all types of breads. While your yeast is getting warmed up, start the tangzhong by using 3 tbsp of the flour and 2 tbsp of the water into a pot and warm over low heat until you get a nice gooey roux. Should only take a minute or two. I've used this dough for a modified version of my Hawaiian Ube Bread, Garlic Onion Bread, Cinnamon Raising Bread, on and on... it's very useful!